Walker, Phillip Francis. Afghanistan: A Short Account of Afghanistan, Its History, and Our Dealings with It. London: Griffith and Farran (1881). 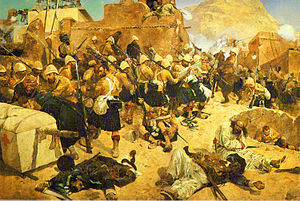 Afghanistan & the British Raj : The Second Afghan War & its Aftermath From the Royal Geographical Society of South Australia blog entries for Afghanistan & the British Raj that cover the subject chronologically with images through reference works in our collection.